l. The number of patients with diabetes increased from 108 million in the year 1980 to 422 million in the year 2014. 2. In 2014, 8.5% of adults (above age 18) globally has diabetes, and in 1980, this rate was 4.7%. 3. The rate of diabetes is growing faster in the under-developed countries. 4. Diabetes has become the major cause to blindness, kidney failure, heart attack, stroke, and lower limb amputation. 5. In 2012, 1.5 million of cases of death had direct relation with diabetes; another 2.2 million of death was related with high level of blood sugar. 6. Half of the death with high level of blood sugar happened before their age 70. 7. According to WHO, diabetes would become the 7th cause of death by 2030. Glycated Hemoglobin (Hemoglobin A1c, or HbA1c as abbreviation）testing by High Performance Liquid Chromatography (HPLC) method is the golden standard for diabetes diagnosis, and treatment assessment. Every patient with diabetes is advised to have their HbA1c tested for 2-4 times annually. As the education to both the professionals and the patients goes on, the importance of HbA1c testing has been widely accepted and acknowledged. In many countries, HbA1c testing has been included into national healthcare program, which gives better control of diabetes, saves the cost for individual patient, and widens the base number of HbA1c testing. As in Japan, its population with diabetes was 10 million (in the year 2014), the number of HbA1c testing reached 70 million. 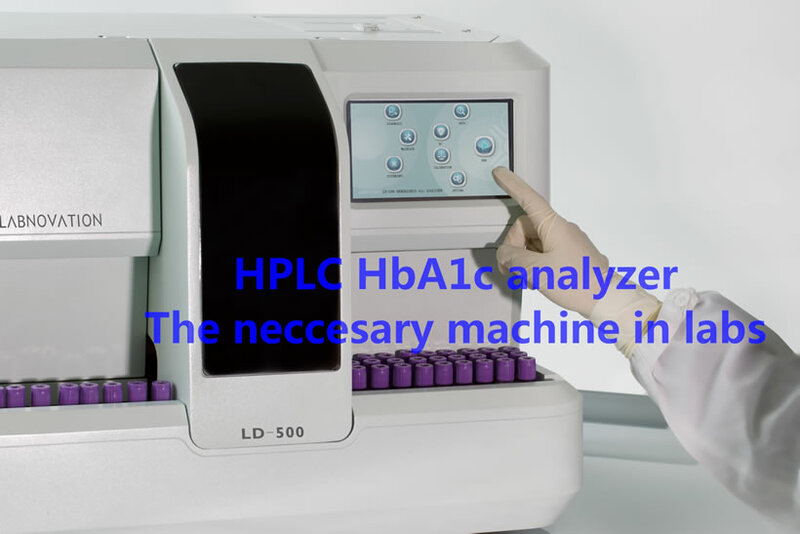 For your practice in diabetes diagnosis and treatment assessment, LABNOVATION provides LD-500 Automated HbA1c Analyzer (HPLC method) with the following benefits and advantages.